Where can one find regulations/directions issued by Reserve Bank for acquisition and transfer of immovable property in India by a person resident outside India? Acquisition of immovable property in India by way of purchase by a person resident outside India. Under the extant foreign exchange regulations to whom is general permission available for purchase immovable property in India? General Permission is available to purchase only a residential/commercial property in India to a person resident outside India who is a citizen of India (NRI) and who is a Person of Indian Origin (PIO). For the purpose of acquisition and transfer of immovable property in India, a PIO means an individual (not being a citizen of Pakistan or Bangladesh or Sri Lanka or Afghanistan or China or Iran or Nepal or Bhutan), who (i) at any time, held Indian passport; or (ii) who or either of whose father or grandfather was a citizen of India by virtue of the Constitution of India or the Citizenship Act, 1955 (57 of 1955). Is NRI/PIO who has purchased residential or commercial property in India under general permission required to file any documents with Reserve Bank of India? NRI/PIO who has purchased residential or commercial property under general permission is not required to file any documents with the Reserve Bank. Is there any restriction on number of residential or commercial property that NRI/PIO can purchase under the general permission available? There is no restriction on number of residential or commercial property that NRI/PIO can purchase under the general permission available. Can a name of a foreign national of non-Indian origin be added as a second holder to a residential or commercial property purchased by NRI/PIO? Can a foreign national of non-Indian origin resident outside India acquire any immovable property in India by way of purchase? No. Under section 2 (ze) of the Foreign Exchange Management Act, 1999 ‘transfer’ includes among others, ‘purchase’. Therefore, a foreign national of non-Indian origin resident outside India cannot acquire any immovable property in India by way of purchase. Can a foreign national of non-Indian origin acquire residential property on a lease in India? Yes. A Foreign National of non-Indian origin including a citizen of Pakistan or Bangladesh or Sri Lanka or Afghanistan or China or Iran or Nepal or Bhutan may acquire only residential accommodation on lease, not exceeding five years for which he/she does not require prior permission of Reserve Bank of India. Can a person resident outside India (i.e. a NRI or a PIO or a foreign national of non-Indian origin) acquire agricultural land/plantation property/farm house in India by way of purchase? No. A person resident outside India cannot acquire by way of purchase agricultural land/plantation property/farm house in India. Acquisition of immovable property in India by way of gift by a person resident outside India. Can NRI/PIO acquire residential or commercial property by way of gift under the general permission available? Yes. Under general permission available NRI/PIO may acquire residential/commercial property by way of gift from a person resident in India or a NRI or a PIO. Can a foreign national of non-Indian origin resident outside India acquire residential/commercial in India by way of gift? No. Under section 2 (ze) of the Foreign Exchange Management Act, 1999 ‘transfer’ includes among others, ‘gift’. Therefore, a foreign national of non-Indian origin resident outside India cannot acquire residential/commercial property in India by way of gift. Can a person resident outside India (i.e. a NRI or a PIO or a foreign national of non-Indian origin) acquire agricultural land/plantation property/farm house in India by way of gift? No. A person resident outside India cannot acquire agricultural land/plantation property/farm house in India by way of gift. Acquisition of immovable residential property in India by way of inheritance by a person resident outside India. Can a person resident outside India (i.e. NRI or PIO or foreign national of non-Indian origin) hold any immovable property in India acquired by way of inheritance from a person resident in India? Yes. A person resident outside India can hold immovable property acquired by way of inheritance from a person resident in India as per the provisions of Section 6(5) of the Foreign Exchange Management Act, 1999. Can a person resident outside India (i.e. NRI or PIO or foreign national of non-Indian origin)hold any immovable residential property in India acquired by way of inheritance from a person resident outside India? With the specific approval of Reserve Bank a person resident outside India may hold any immovable property in India acquired by way of inheritance from a person resident outside India, provided the bequeathor had acquired such property in accordance with the provisions of foreign exchange law in force at the time of acquisition or under FEMA regulations. Transfer of immovable property in India by way of sale by a person resident outside India . Under general permission available to whom can NRI transfer by way of sale his residential/commercial property? NRI can transfer by way of sale residential/commercial property in India to a person resident in India or to a NRI or a PIO. Under general permission available to whom can a PIO transfer his residential/commercial property by way of sale? PIO can transfer by way of sale residential/commercial property in India only to a person resident in India. Can a PIO transfer by way of sale his residential/commercial property to a NRI or a PIO? No. He would need to seek Reserve Bank prior approval for transfer by way of sale residential/commercial property in India to a NRI or a PIO. Can a foreign national of non-Indian origin whether resident in India or outside India transfer by way of sale residential/property in India acquired with the specific permission of Reserve Bank to a person resident in India or outside India? No. A foreign national of non-Indian origin whether resident in India or outside India would need to seek prior approval of Reserve Bank for transfer by way of sale residential/property in India acquired with the specific permission of Reserve Bank to a person resident in India or outside India. Under general permission available to whom can NRI/PIO transfer by way of sale his agricultural land/plantation property/farm house in India? Under the general permission available NRI/PIO may transfer by way of sale his agricultural land/plantation property/farm house in India to a person resident in India who is a citizen of India. Can a foreign national of non-Indian origin resident outside India transfer by way of sale agricultural land/plantation property/farm house acquired by him in India? A foreign national of non-Indian origin resident outside India would need to seek prior approval of Reserve Bank for transfer, by way of sale, agricultural land/plantation property/farm house acquired in India. Transfer of immovable residential property in India by way of gift by a person resident outside India. Under general permission available can NRI/PIO transfer his residential or commercial property by way of gift? Yes. NRI/PIO may transfer by way of gift residential/commercial property in India to a person resident in India or to a NRI or a PIO. Under general permission available to whom can NRI/PIO transfer by way of gift agricultural land/plantation property/farm house in India? Under the general permission available NRI/PIO may transfer by way of gift agricultural land/plantation property/farm house in India to a person resident in India who is a citizen of India. Can a foreign national of non-Indian origin resident outside India transfer by way of gift agricultural land/plantation property/farm house acquired by him in India? No. A foreign national of non-Indian origin resident outside India would need to seek prior approval of Reserve Bank for transfer by way of gift agricultural land/plantation property/farm house acquired by him in India. Transfer of residential/commercial property in India by way of mortgage by a person resident outside India. Can NRI/PIO transfer by way of mortgage his residential commercial property in India to an authorized dealer/housing finance institution in India? Can NRI/PIO transfer by way of mortgage his residential or commercial property in India to a party abroad? No. He should seek prior approval of RBI. Can a foreign national of non-Indian origin resident in India or outside India transfer by way of mortgage his residential/commercial property in India acquired with the specific approval of Reserve Bank to a party in India or abroad? No. He should seek prior approval of RBI. However, immovable property purchased by a person resident outside India who has established a Branch Office or other place of business for carrying on in India any activity in accordance with FERA/FEMA regulations, may under general permission available, mortgage such a property with an authorized dealer as a security for any borrowing. Mode of payment for purchase of residential/commercial property in India by NRI/PIO. Under the general permission available what is mode of payment for purchase of residential/commercial property in India by NRI/PIO? Under the general permission available NRI/PIO may purchase residential/commercial property in India out of funds remitted to India through normal banking channel or funds held in his NRE/FCNR (B)/NRO account. No consideration shall be paid outside India. 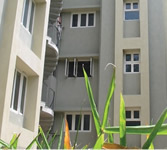 Can refund of application/earnest money/purchase consideration made by the house building agencies/seller on account of non-allotment of flat/plot/cancellation of bookings/deals for purchase of residential/commercial property together with interest, if any (net of income tax payable thereon) be credited to NRE account? Yes, provided original payment was made by way of inward remittance or by debit to NRE/FCNR (B) account. For this purpose no permission of Reserve Bank is required and they may approach the Authorised Dealer directly in the matter. (Please refer to A. P. (DIR Series Circular No. 46 dated November 12, 2002). Can NRI/PIO for the purpose of acquisition of flat/house in India for his own residential use avail of loan from authorized dealer against the security of funds held in his NRE Fixed Deposit account/FCNR (B) account? Can NRI/PIO, avail of housing loan in rupees from an authorized dealer or housing finance institution in India approved by the National Housing Finance Bank for purchase of residential accommodation or for the purpose of repairs/renovation/improvement of residential accommodation? Yes, subject to certain terms and conditions. Such loans can be repaid by the borrower by way of inward remittance through normal banking channel or by debit to his NRE/FCNR (B)/NRO account or out of rental income derived from renting out such property. Such loan can also be repaid by the borrower's close relatives through their account in India by crediting the borrower's loan account. (Please refer to Regulation 8 to Notification No. FEMA 4/2000-RB dated 3rd May 2000 and A.P. (DIR Series) Circular No.95 dated April 20, 2003 and A.P. (DIR Series) Circular No.94 dated May 25, 2003). Yes, subject to certain terms and conditions (Please refer to Regulation 8A to Notification No. FEMA 4/2000-RB dated 3rd May 2000 and A.P. (DIR Series Circular No.27 dated October 10, 2003). Repatriation of sale proceeds of residential/commercial property purchased by NRI/PIO. Can NRI/PIO repatriate the sale proceeds of residential/commercial property in India acquired by way of inward remittance through normal banking channel or by debit to NRE/FCNR (B)/NRO account?If so, what is the quantum? NRI/PIO may repatriate the sale proceeds of residential/commercial property in India acquired by way of inward remittance through normal banking channel or by debit to NRE/FCNR (B) account. The amount to be repatriated should not exceed the amount paid for acquisition of residential/commercial property (a) in foreign exchange received through normal banking channel or by debit to FCNR (B) account or (b) the foreign currency equivalent, as on the date of payment, of the amount paid by debit to NRE account. The sale proceeds of residential/commercial property in India acquired by way of debit to NRO account cannot be repatriated and should be credited to NRO account only. The rupee loan availed by NRI for purchase of residential accommodation was repaid either by inward remittance or by debit to NRE/FCNR (B) account. Can the sale proceeds of such property be repatriated? Yes. Repayment of loan in foreign exchange is treated as equivalent to the foreign exchange received for purchase of residential accommodation. Is there any lock in period for sale of residential/commercial property purchased out of inward remittance/debit to NRE/FCNR(B) account? No lock in period is applicable for sale of such property. Is there any restriction on repatriation of sale proceeds of residential property purchased by NRI/PIO out of funds remitted to India through normal banking channel or funds held in his NRE/FCNR (B) account? Yes. Repatriation of sale proceeds is restricted to not more than two residential properties. Remittance of sale proceeds of residential/commercial property received by way of gift by NRI/PIO. Into which account the sale proceeds of residential/commercial property received by way of gift by NRI/PIO can be credited? The sale proceeds of residential/commercial property received by way of gift by NRI/PIO should be credited to NRO account only. Can sale proceeds of any immovable property inherited by NRI/PIO from a person resident in India be remitted abroad? Can sale proceeds of any immovable property in India inherited, by a foreign national of non-Indian origin resident outside India, from a person resident in India be repatriated by him? Can sale proceeds of any immovable property in India inherited, by a person resident outside India (i.e. NRI or PIO or foreign national of non-Indian origin resident outside India), from a person resident outside India be repatriated by him or his successor? No. He needs to seek prior approval of Reserve Bank with documentary evidence in support of inheritance and tax clearance/no objection certificate from Income Tax authority. Acquisition of immovable property for carrying on a permitted activity in India. Can a person resident outside India who has established a Liaison Office in India in accordance with FERA/FEMA regulations purchase immovable property? Can a person resident outside India who has established a Branch Office or other place of business for carrying on in India any activity in accordance with FERA/FEMA regulations purchase commercial/residential property? Yes, provided it is necessary for or incidental to carrying on such activity and all applicable laws, rules, regulations or directions are duly complied with. The purchase price should be paid by way of inward remittance through proper banking channel. A declaration in form IPI should be filed with Reserve Bank within ninety days from the date of acquisition of commercial/residential property. Can such a property referred to in Q. No.41 be mortgaged with an authorized dealer as a security for any borrowing? On winding up of the business can the sale proceeds of such property be repatriated? Yes, with prior approval of Reserve Bank. Can Foreign Embassies/Diplomats/Counsel General purchase/sell immovable property in India? Yes. Under general permission available Foreign Embassies/Diplomats/Counsel General may acquire any immovable property other than agricultural land/plantation property/farm house in India. Such property may be purchased/sold provided prior clearance from the Government of India, Ministry of External Affairs has been obtained for such purchase/sale. The consideration for purchase of such property should be paid by way of inward remittance through normal banking channel. Can NRI/PIO rent out the residential/commercial property purchased out of foreign exchange/rupee funds, if not required for immediate use? Yes. Rent received, being current income may be credited to NRO/NRE account or remitted abroad. Can NRI who had acquired immovable property viz., residential/commercial property/agricultural land/plantation property/farm house in India while he was a person resident in India continue to hold or transfer such immovable property? In which account the sale proceeds may be credited? Yes, under the provisions of Section 6 (5) of the Foreign Exchange Management Act, 1999 NRI who had acquired immovable property in India while he was a person resident in India may continue to hold such property. Under the general permission available he may transfer by way of sale or gift agricultural land/plantation property/farm house in India to a person resident in India who is a citizen of India and may transfer by way of sale or gift residential/commercial property in India to a person resident in India or to a NRI/PIO. The sale proceeds may be credited to NRO account. Can a PIO who had acquired immovable property viz., residential/commercial property/agricultural land/plantation property/farm house in India while he was a person resident in India continue to hold or transfer such immovable property? In which account the sale proceeds may be credited? Yes, under the provisions of Section 6 (5) of the Foreign Exchange Management Act, 1999, PIO who had acquired immovable property in India while he was a person resident in India may continue to hold such property. Under the general permission available he may transfer agricultural land/plantation property/farm house in India by way of sale or gift to a person resident in India who is a citizen of India and residential/commercial property in India by way of sale to a person resident in India and way of gift residential/commercial property in India to to a person resident in India or to a NRI/PIO. However, if a PIO is a citizen of Pakistan or Bangladesh or Sri Lanka or Afghanistan or China or Iran or Nepal or Bhutan he should seek prior approval of Reserve Bank for transfer of such immovable property in India. The sale proceeds may be credited to NRO account. Can the sale proceeds of the immovable property referred to in Q. Nos. 46 and 47credited to NRO account of NRI/PIO, be remitted abroad? Yes, provided the immovable property was held for a period not less than ten years. What if such an immovable property was held for less than ten years? 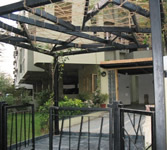 If such a property acquired out of rupee funds is sold after being held for less than ten years, remittance can be made, if the sale proceeds were held for the balance period in NRO account (Savings/Term Deposit) or in any other eligible investment, provided such investment is traced to the sale proceeds of the immovable property. Under erstwhile FERA, foreign nationals of non-Indian origin resident in India or outside India had with the specific approval of Reserve Bank acquired residential property in India. While they can continue to hold the same under the provisions of Section 6 (5) of the FEMA, 1999 can they transfer such property? Yes. only with the prior approval of Reserve Bank. Is a person resident in India governed by the provisions of Foreign Exchange Management (Acquisition and transfer of immovable property in India) Regulations, 2000? A person resident in India who is a citizen of Pakistan or Bangladesh or Sri Lanka or Afghanistan or China or Iran or Nepal or Bhutan is governed by the provisions of Foreign Exchange Management (Acquisition and transfer of immovable property in India) Regulations, 2000. Where are the terms a ‘person resident in India’ and a ‘person resident outside India’ defined? Section 2 (v) and section 2 (w) of the Foreign Exchange Management Act, 1999 defines a 'person resident in India' and a 'person resident outside India' respectively. What is meant by a person resident in India? From FEMA angle, a person resident in India means a person residing in India for more than one hundred and eighty-two days during the course of the preceding financial year (April-March) and who has come to or stays in India either for taking up employment, carrying on business or vocation in India or for any other purpose, that would indicate his intention to stay in India for an uncertain period. In other words, to be treated as ‘a person resident in India’, under FEMA a person has not only to satisfy the condition of the period of stay (being more than 182 days during the course of the preceding financial year) but has also to comply with the condition of the purpose/intention of stay. Does Reserve Bank determine the residential status of a person for the purpose of acquisition of immovable property in India? No. Under FEMA residential status is determined by operation of law. The onus is on an individual to prove his/her residential status if questioned by any other authority. If a foreign national (except a citizen of Pakistan, Bangladesh, Sri Lanka, Afghanistan, China, Iran, Nepal and Bhutan) is a person resident in India as per the provisions of Section 2 (v) (i) B of the Foreign Exchange Management Act, 1999 does he require approval of RBI to purchase any immovable property in India? No, he does not require approval from Reserve Bank from FEMA angle. However, approvals if any, required in terms of regulations prescribed by other authorities such as the concerned State Government etc., will have to be obtained by him/her. Do non-resident Indian nationals require permission of Reserve Bank to acquire residential/ commercial property in India? Non-resident Indians are staying abroad can the property be purchased through the agent or through the Power of Attorney? The non-resident Indians who are staying abroad may enter into an agreement through their relatives and/or by executing the Power of Attorney in their favour as it is not possible for them to be present for completing the formalities of purchase (negotiating with the builder or Developer, drafting and signing of agreements, taking possession, etc.) These formalities can be completed through some known person who can be given the Power of Attorney for this purpose. Power of Attorney should be executed on the stamp paper before the proper authorities in foreign countries. Power of Attorney cannot be drafted on the stamp paper bought in India. Can the rental income from such property be remitted outside India? No. Such income cannot be remitted abroad and will have to be credited to the ordinary non-resident rupee account of the owner of the property. Yes. However, such property can be sold to another foreign national of Indian origin provided funds towards the purchase consideration are either remitted to. Do non-resident Indian nationals require permission of Reserve Bank to acquire residential / commercial property in India? Ref: NRI City project. 1. Can the property be rented to a non-NRI person? 2. Can it be sold to a non-NRI person? Yes you can rent/sell it to a non-NRI person. 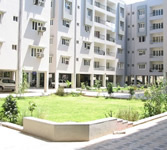 Can Indian nationals buy a property in the NRI City. Yes! 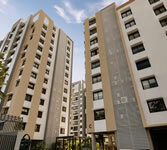 An Indian Nationals can buy a property in NRI City. Who is a NRI (non resident Indian) ? Anyone who is an Indian citizen by birth but for employment or other vocational reasons, stays outside India for an indefinite period time can be all as a NRI. Who all can be called a Person of Indian Origin ? Person-of-Indian Origin can be people who are citizens of a foreign country, but who was born in India or whose father and forefathers were of Indian origin. These are bodies largely owned by people who are Indian citizen or of Indian origin but reside outside India. They include overseas companies, corporate bodies and partnership firms owned mostly by the Indian citizens or people of Indian origin. In these bodies, three-fourth of the interest are owned by Indian citizens or people of Indian origin. 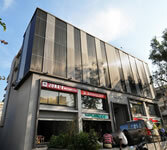 How many commercial properties, a NRI can acquire in India legally ?